Curious fellow. Passionate about solving hard problems. I ❤️ psychology, music & etc. 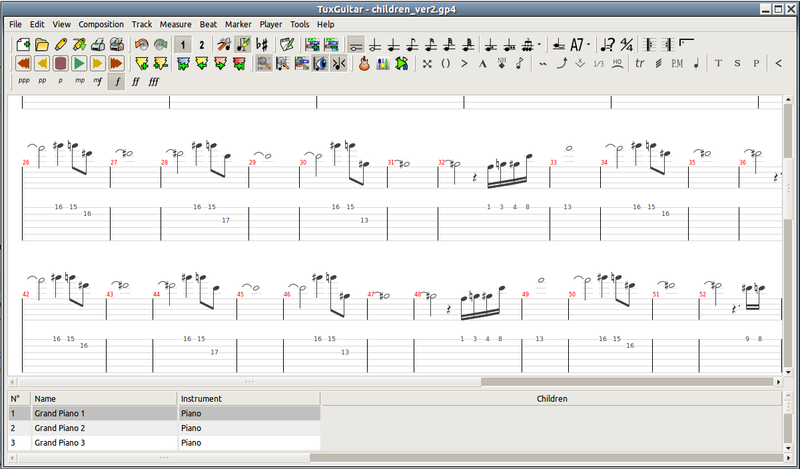 Today I finally configured my Ubuntu for guitar tabs playing! Maybe your sound card supports MIDI files better than mine, so you might go with hardware support for playing MIDI files. However, software sequencers do provide better sound and sometimes they are the only choice, as in my case. 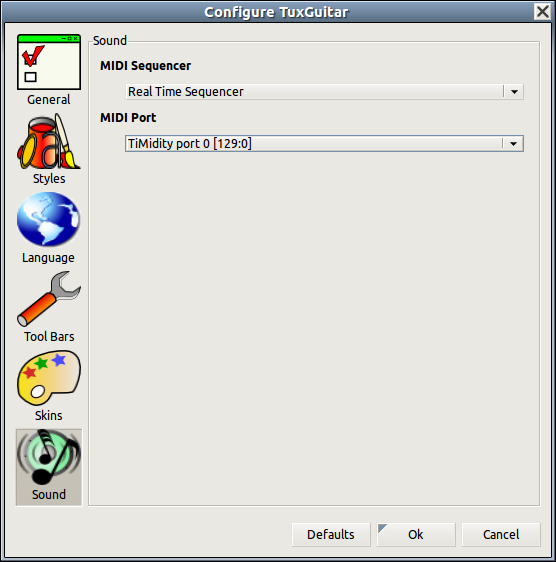 Then run tuxguitar and select Timidity port from the settings as shown in the second picture. I’ve rooted my HTC Magic, so here is a short tutorial on how I did it. It was very easy actually. Please, if you are unsure of what you are doing, don’t follow this guide and cry to me later if you brick your phone. This guide is for HTC Magic 32A, and tested only on models available in Serbia. Now, before downloading ROMs and other stuff, lets first flash that recovery image to your phone. This used to be done via adb utility, but someone has created a phone application that exploits bluetooth buffer overflow, so the image can be flashed via phone. Copy the recovery image to your SD card, name it shortly, say “recovery.img”, and then (on your phone) run the FlashRec application. It should say here that you have a “EBI1” phone, don’t continue if it says otherwise and skip this tutorial coooompletely! First, do a backup (because your phone already has a recovery image, but it is not this good), and then in the text box type /sdcard/recovery.img and the click Flash button. Suppose that step ended successfully (if it didn’t, don’t ask me what to do about it, GIYF). What you have now is a special recovery image with the root access to your device. Recovery image is started by shutting down your phone, and then pressing the green Home button and red Power button together. Press it, and keep them pressed until screen turns on. If you’ve done everything right, soon you should have a recovery screen (somewhere in the bottom should be written “recovery image 1.7” or similar). First, do a nandroid backup. You will see it in the menu. Then restart your phone (normal way), connect it to USB and copy the nandroid folder from your phone’s SD card to your computer, so that you can always go back if you screw up something with roms. Now is the time to download ROMs. I used Cyanogen 5.0.7 ROM which is Android 2.1 codenamed Eclair. It is uber fast and I haven’t found a single bug yet. There are four files that need to be downloaded. First, the rooted Android 1.6 ROM from HTC. Then, the cyanogen mod ROM, followed by a new kernel, and then finally google apps, which are for some reason not included in cyanogen ROM mentioned before. There are other ROMs (including Cyanogen’s) which include google apps, but I won’t discuss them here now. Copy all four zips to the SD card. Most of the credits goes to @Cyanogen, Amon RA who repacked his recovery image, bcrooks who packed the kernel and guys behind the flashrec utlity who saved our a**es from using fastboot (totally eliminating the need of a personal computer during flashing). I’m happy to report that it was decided on Saturday that Banja Luka will be hosting the eleventh Debian Developers Conference! The Linux User Group of Bosnia and Herzegovina is bidding for the organization of the eleventh Debian Conference. Debian is one of the most popular and certainly amongst oldest GNU/Linux distributions, bundled with free software only, providing users with various software packages through its own APT (Synaptic) package manager. Debian Conference is organized once a year, and Sarajevo participated in the DebConf7 bid, but the city of Edinburgh won that year. This year, DebConf is being held in New York City. The government of Republic of Srpska, with the prime minister Milorad Dodik, has given green light and financial support for the oncoming event, which gives Banja Luka a great opportunity to win the bid. Other bidders are Germany and the city of Munich, which is known to be as one of the first cities in Europe which fully adopted GNU/Linux in government and civil services. If you would like to support the event, you can join the Facebook fan page or join the mail list. To find more about Banja Luka and event’s organization, visit the Wiki page. To find out more about how this idea emerged, visit Adnan Hodzic’s blog. If you’ve happen to be using Eclipse based IDE, like Spring Tool Suite, on recently released Ubuntu 9.10, you must have noticed that mouse click on “OK”/”Apply” and some other buttons doesn’t work. The problem is with SWT/JFace GTK implementation. Anyway, the GTK in Karmic has been changed which resulted in backward incompatibility with the SWT implementation. To temporarily override new settings, you simply need to launch eclipse with GDK_NATIVE_WINDOWS=true parameter. Here is a little script that you can put in your eclipse application folder that will do the trick. You can also create a desktop launcher to the script.